Romance Ever After ~ New Box Set Release! 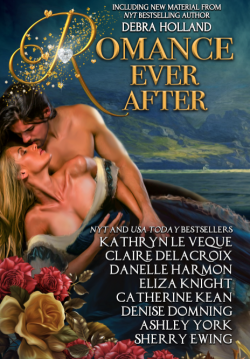 I’m so excited to announce the release of this fabulous box set, Romance Ever After! We’re talking hours of reading pleasure from nine best selling authors with new material from the marvelous Debra Holland. All all this for just $0.99. You can’t beat that deal. My contribution to the box set is A Knight To Call My Own, that also just released as an audio book! Read on, my lovelies, for more information on the box set. I wish you and your family a joyous holiday season!